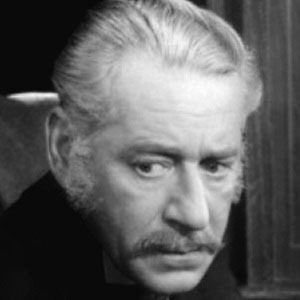 Notable for his roles in numerous 1930s and '40s films, O'Neill typically played mature, dignified characters such as the Duc de Choiseul in Madame Du Barry (1934) and Canon Roche in the 1946 feature The Green Years. He began his acting career as a touring theatrical performer. Following his service in World War I, he appeared in his first two films: The World Changes and Lady Killer (both released in late 1933). Portraying colonel and railway executive Cyrus K. Holliday, O'Neill appeared with Errol Flynn, Olivia de Havilland, and Ronald Reagan in the 1940 western Santa Fe Trail. He grew up in Orange, New Jersey, and later settled in Los Angeles, California. His marriage to Anna Barry produced one child. His final screen appearance was in the 1957 John Wayne feature The Wings of Eagles.